More trees are a cornerstone requirement of New Zealand meeting its Paris Accord Commitments. We also need tree planting yesterday to underpin further investment in domestic wood processing. But the government should not be looking to current forest owners to plant more trees. Forest owners already have trees and typically do not have the land to plant more. Nor are they active in acquiring land. Why not? Forestry has now had an extended few years of good profitability, much higher per hectare per annum and less volatile than dry-stock farming returns. The outlook for forestry is also positive. Making a good chunk of the investment return in tax-free capital gain on eventual sale of the land. This business model has allowed pastoral farming to prosper over the past two decades. Land values have risen, effectively excluding forestry as an option. But is the pastoral farming business model sustainable into the future? Our ecosystems are already telling us that there are environmental limits to intensification. There is increasing public pressure to do more to clean up our fresh water. It is not realistic to expect the rest of our now mostly urbanised taxpayers and voters to forever subsidise greenhouse gas emissions of agriculture. Already Labour/Greens have suggested farming should be brought into the ETS starting at a 10% obligation. Land is the most significant cost input to growing trees – in some cases amounting to over 50% of all cost inputs. Forestry investors do not consider land value capital gain as an investment driver. They are looking for a post-tax real rate of return in excess of 7.0% from growing trees. Excluding uncertain carbon returns they cannot reliably achieve that with land values and forestry returns as they stand today. Foresters also have the opportunity to sell land on the open market and have been active over the past decade in particular of cashing in on the high pastoral land values. The irony is that the land the foresters sell for pastoral dry-stock conversion ends up contributing less to our national GDP per hectare, while at the same time adding to our greenhouse gas emissions and fresh water degradation. While that is hardly the best outcome for NZ Inc. it is rational private owner behaviour within the current policy settings. The good news for farmers and for Maori landowners is that forestry is much more profitable for those that own land than those that have to purchase or lease land, provided that the land input cost is viewed as the lost returns from farming that same piece of land. As that cost is much less than the land market value, returns from tree growing are correspondingly higher. 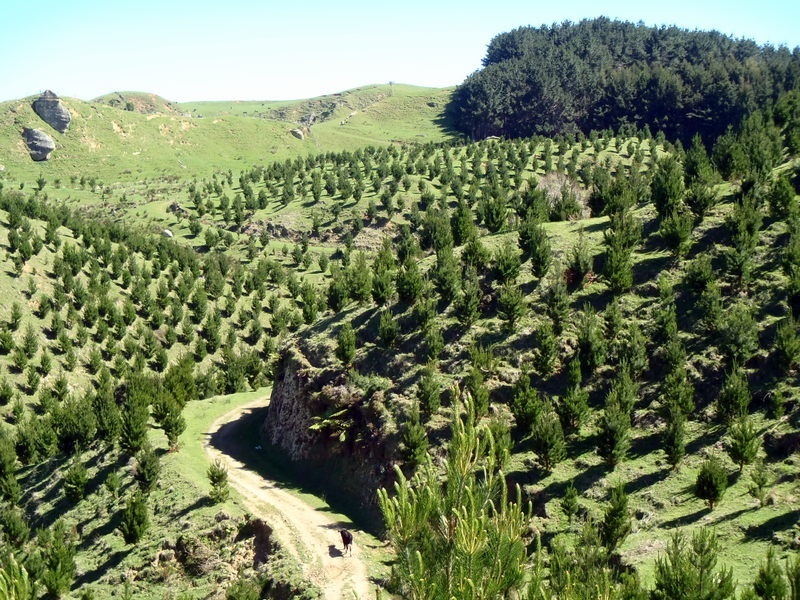 So what is constraining tree planting by farmers and Maori landowners? I suspect information and knowledge is a big part of it, but it would be better to ask them than to ask foresters. If foresters owned unplanted land that is not effectively for sale on the open market they would get on and plant it under today’s economic conditions and outlook.